Next year will be the four hundredth anniversary of the death of St. Lawrence of Brindisi. I believe that a year dedicated to his honor on this occasion will be very meaningful. Therefore, with this letter, I call for the celebration of this ‘Laurentian Year’ from July 21, 2018 to July 21, 2019. In this my last letter I am writing to you, I take the opportunity to thank you for your patience and all the kindness you have shown to me. I am aware that it was not possible for me to respond to the hopes and concerns of everyone. I thank you for the welcome I was shown everywhere and I ask humbly that you continue to pray for me. 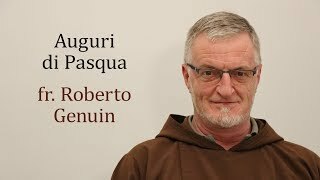 I am happy to send to each of you my fraternal greetings, together with my Franciscan best wishes of Peace and Good.